Obituary for Judith Ann Anderson | House of Wheat Funeral Home, Inc.
ANDERSON, Judith Ann, age 70, born September 16, 1947 in Dayton, Ohio, passed away August 18, 2018 at Hospice of Dayton. Judy graduated from Dunbar High School, Class of 1965. She retired from the Montgomery County Job and Family Services after 30 years of service. Judy enjoyed helping others, traveling and loved taking pictures. She was a lover of people, a lover of life and never met a stranger. 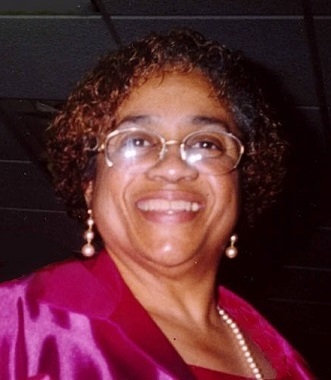 One of her greatest accomplishments and passions was being baptized and serving Jehovah God for over 40 years. Preceded in death by her parents, John Lowe and Mary (Strauder) Lowe-Pickens; sister, Erin Pickens; brothers, James Pickens Jr., Ronald and John F. Lowe. She is survived by her loving husband of 54 years, William Anderson Sr.; sisters, Sandra Lowe, Janine Pickens; brother, Timothy (Wanda) Lowe; children, Danielle, Michael and William Jr. (Sinnie) Anderson; grandchildren, I’zaah (Christian) Biery, Q’Nasha Hardwick, Hailey and Ebony Anderson, Briana Seay; a host of great grandchildren, nieces, nephews and a very large extended family. Memorial service will be held 10 am Friday, August 24, 2018 at the House of Wheat Funeral Home, Inc., 2107 N. Gettysburg Ave. Bro. Kenneth Daniels officiating. Calling hour 9 am at which time family will receive friends.